Even in the electronic age of Kindles and other tablets, the market for physical books is still huge. And when you’re dealing with frail, antique literature, you have to take the proper precautions to assure that you do not damage them. I’ve worked at a library for four years now, so I know that generally books are rather sturdy. They’re shoved in book drop boxes, dropped on the ground and crammed into book bags. But for the most part, even some of the older ones hold up pretty well to even some severe abuse. Before handling antique books, wash your hands. Like on vinyl records, your skin oils can be damaging. 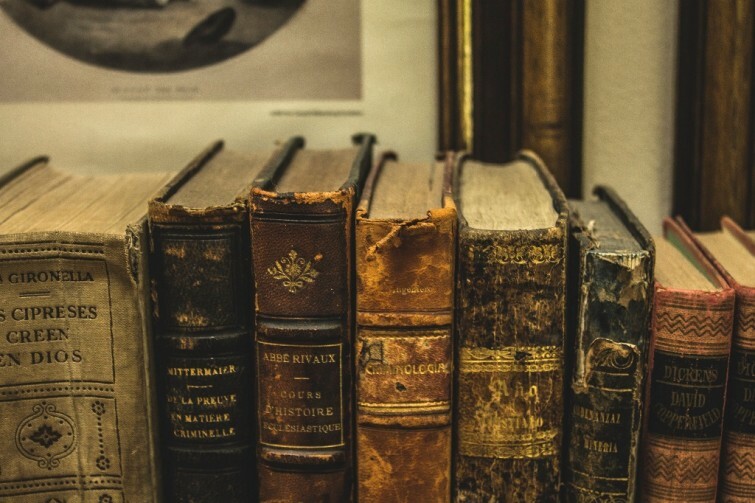 Avoid handling the books around anything else that could damage or stain them, such as pets, food, drinks or any other kinds of liquid that could spill. Pay special attention not to fold any of the pages. Use both hands while handling single books, especially when removing them from shelves. Do not use any paper clips, rubber bands or any other type of adhesives on the books. Try to store books of the same size together. Books need to be kept out of the sunlight or anywhere with high humidity. Room temperature should be between 65 and 70 degrees F (18.3 and 21.1 degrees Celsius). Never try to repair the books unless you’ve done thorough research. Keep the books far away from any radiators or vents. Occasionally dust your book collection to prevent mold growth and other types of damage. Avoid leaving books stacked in piles. If they’re particularly frail books, consider wrapping them in protectors. Choose glass or baked enamel shelves for your shelving. Wooden shelves that haven’t been properly sealed could subject the books to damaging acids. Avoid shelving the books too close together to avoid friction. Generally keep books of the same size shelved upright near each other.